About 3.7 million tons die castings were produced in 2015 according to a Foundry Institution of Chinese Mechanical Engineering Society’s (FICMES) research, and about 70% of them are used for automobiles and motorcycles. In the last 20 years, the average annual growth rate of Chinese die casting industry was around 13%. A complete die casting value chain and developed die casting industry area have been built in China. China has become a super die casting country in the world, with the largest die casting production worldwide. With the launch of the "Made in China 2025” strategy, the manufacturing industry in China steps into a brand new development period. Meanwhile the die casting industry also meets the crucial period of transformation and upgrading. According to the market research, the sales volume of cars recovered in 2016, and at the same time the 4G, 3C industries are booming, all these lead to steady growth of the die casting industry. As an annual event in Chinese die casting industry, China International Diecasting Conference & Exhibition (CHINA DIECASTING) has been held for 20 years. The 12th CHINA DIECASTING 2017 will be held from July 19-21, 2017 in Shanghai New International Expo Centre (SNIEC). As a witness for the growth path of Chinese die casting industry, CHINA DIECASTING has become the largest die casting exhibition in Asia. The exhibition space in 2017 will reach 23,800 sqm, attract about 350 international exhibitors and 15,000 trade visitors. Besides die casting, the non-ferrous casting, especially the light metal casting is emphasized in the future development of the global casting industry. More and more enterprises put their concentration on it and start business in this new sector .Meanwhile, to face the increasing demand of a professional platform in China, NürnbergMesse and FICMES decided to launch China Nonferrous Alloys & Special Casting Exhibition (CHINA NONFERROUS) in 2016. The first edition attracted the leading players in the industry to participate, and was proved to be successful with the academic forums and high efficiency. The concurrent CHINA DIECASTING and CHINA NONFERROUS 2017 will again bring knowledge together and exchange technologies to inspire the onsite visitors through various topics and onsite events. 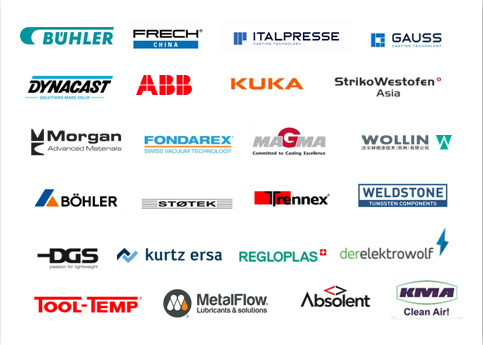 The event which is organized by NürnbergMesse China Ltd. cooperates closely with EUROGUSS in Nuremberg, Germany and ALUCAST in India, to share the global die casting resources. The “2017 China Nonferrous Alloys and Special Casting Development Forum” will take place before CHINA DIECASTING 2017. With several parallel sessions, the latest technologies, ideas and visions will be exchanged between industry experts. It’s acknowledged as the most high-ending industry forum in the Chinese die casting market. CHINA DIECASTING is tailored to meet the different needs from both exhibitors and visitors.. Therefore, a variety of onsite events will take place to attract the attention from sales, purchasers and engineers.